You’re standing on a rounded hilltop. A soft breeze is in your face. In front of you is a gentle, grassy slope leading down into the valley. You step forward down the slope, letting gravity pull you from a walk to a gentle run. Within a few steps, you are lifted; the ground falls away beneath your feet – you’re running on air. You’re flying. 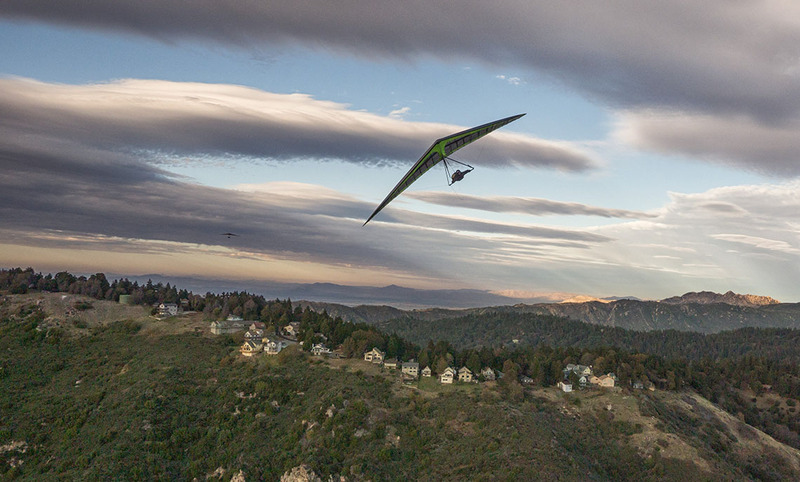 We don’t mean riding in an airplane, but really flying, the way the birds fly: gliding gently through the air with a bird’s eye view of everything below and out to the horizon, or soaring upwards on rising thermal currents, banking and turning to follow the lifting air. Maybe you’ve even been aware that there are some people who do fly this way but thought that you could never do it; that it was too difficult, or too dangerous. But today, you can fly, if you want to. 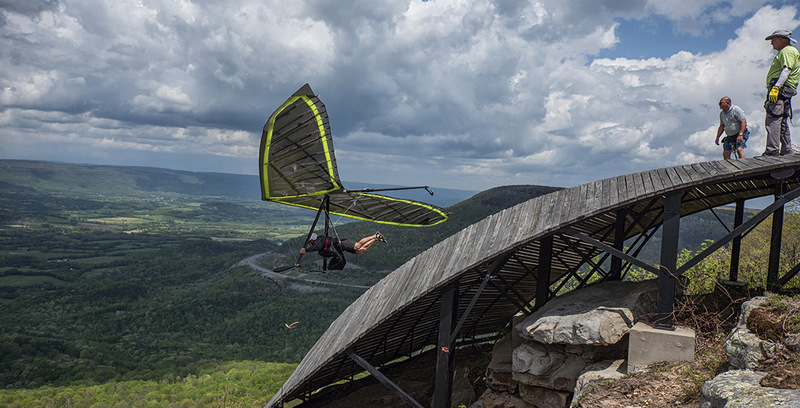 The modern sport of hang gliding offers the easiest, safest access to personal, bird-like flight that has ever been available. Hang glider pilots utilize lightweight wings made of aerospace aluminum alloys covered with space-age polymer fabric, shifting their weight to control speed and direction and there is a worldwide network of professional instructors and authorized Wills Wing retailers to help you learn the proper way and get the best equipment. It’s more than flying, it’s a Lifestyle! Flying is just part of the fun. 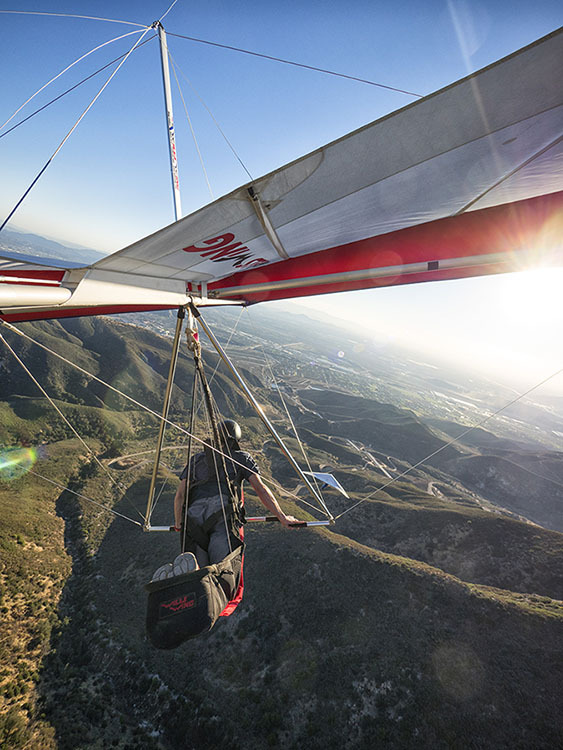 Hang Gliding will take you to extraordinary places like the high mountains of Colorado, the lush, green flatlands of Florida and the awe-inspiring Yosemite National Park. You will meet the most amazing people and become part of a world-wide community that will always support you and make you feel welcome. It is a life filled with passion and adventure and you will cherish every moment of the experience. Check out our Vlog series to get an idea of what we do. Ready to take the leap? Check out our Instruction page to find out just how easy it is to earn your wings!